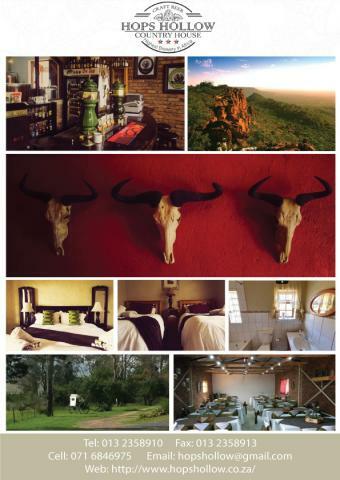 • 7 beautifully appointed en-suite rooms, 2 that shares. • The rooms share a bathroom. 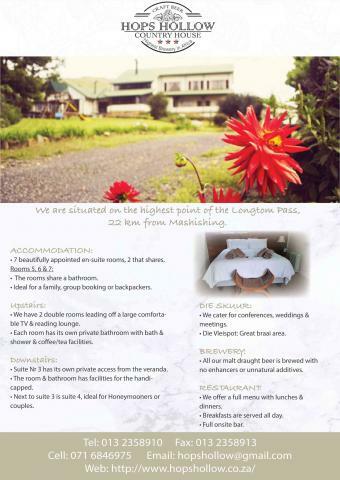 • Ideal for a family, group booking or backpackers. 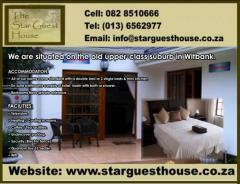 • We have 2 double rooms leading off a large comfortable TV & reading lounge. • Each room has its own private bathroom with bath & shower & coffee/tea facilities. • Suite Nr 3 has its own private access from the veranda. • The room & bathroom has facilities for the handicapped. • Next to suite 3 is suite 4, ideal for Honeymooners or couples. • We cater for conferences, weddings & meetings. • Die Vleispot: Great braai area. • All our malt draught beer is brewed with no enhancers or unnatural additives. • We offer a full menu with lunches & dinners. • Breakfasts are served all day.